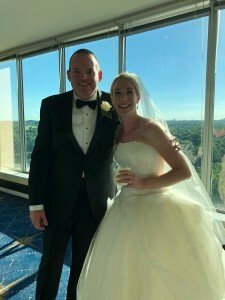 Katie Reedy and Todd Spitzer became Mr. and Mrs. Spitzer in September. We had a wonderful time working with the whole family as Katie's family had multiple weddings this summer. Katie and Todd danced a fun loving First Wedding Dance to "You Make My Dreams Come True," while Katie and her dad danced to "What a Wonderful World." As Katie, Mike, and Todd prepped for their dances, Katie's mom prepped a mother/son dance for Katie's brother who lives in California. 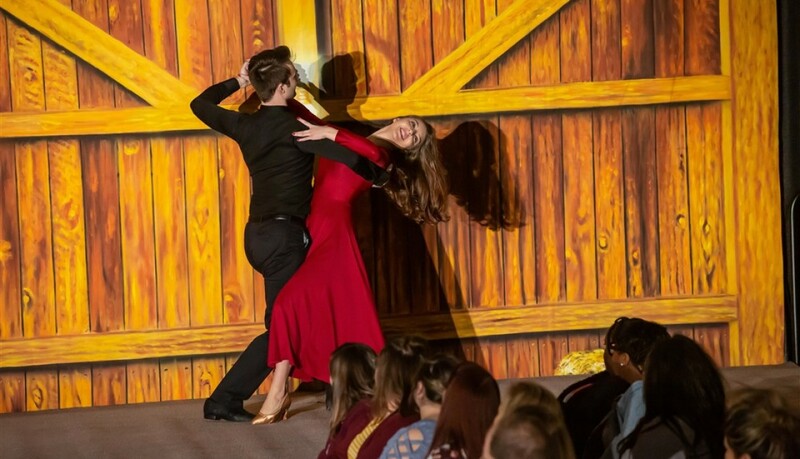 In this video, hear about Katie and Todd's love story and how they built the perfect dance for their wedding. 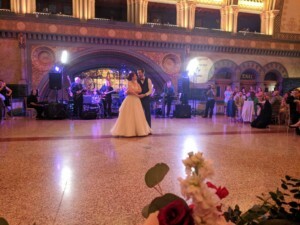 Interested in having your wedding dance story told? Sign up for lessons today! 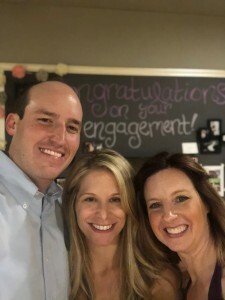 Congratulations to Jess and Ryan! 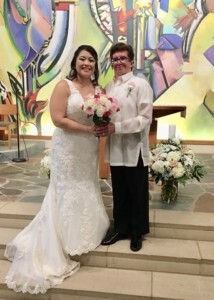 We are so excited to be a part of their story! We helped them with their first dance, a father/daughter dance, a step-father/daughter dance, and a mother/son dance! Let us chronicle your wedding dance adventures! weddings! We have Father/Daughter, Bride/Groom and Mother/Son all this weekend! 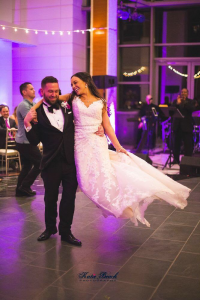 As we say all the time, “We love our wedding couples!” As a tribute to some of our favorite dancers, we are going to begin chronicling the first dance journey. 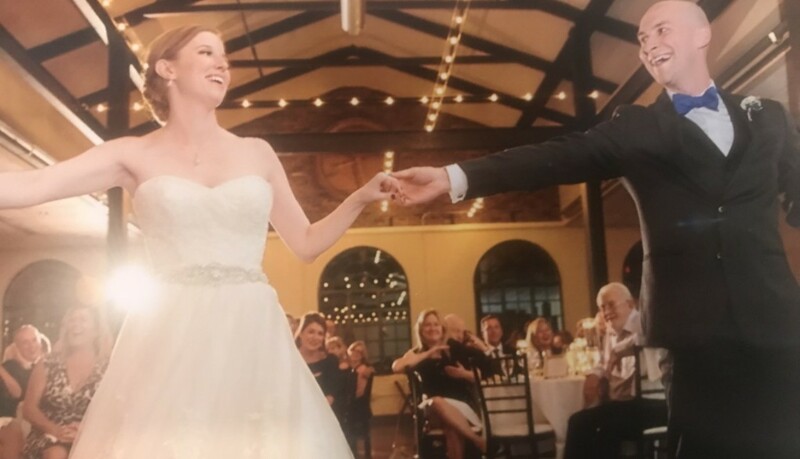 From the time a couple comes into the studio for their Wedding First Dance consult to the last lesson of tweeking the dance right before the big day, we see beautiful stories of love and expression. 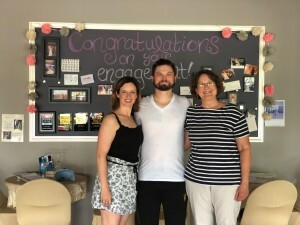 As the instructors work with the couples to build the steps and look that the soon-to-be newlyweds now imagine, we see couples learn to work with each other in ways they haven’t before. 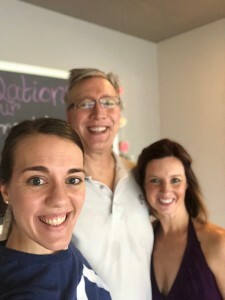 We find that our couples enjoy the lessons as much for the private time they are getting to share away from the craziness of life and wedding preparation as they do for the dancing. Over the course of the lessons, we see awkwardness turn to grace in more ways and places than on the dance floor. These stories and experiences are so moving to us that, with the permission of the couples, we want to share them with you. So, stay tuned! And, if you want your First Wedding Dance to be a part of this journey, sign up foryour wedding consultation today! You’ve worked hard over the years to give her the life you always wanted, and you succeeded. She’s bright, well educated, and successful. Now she’s met that special someone and will soon be creating a home of her own and carrying on your legacy. On that special day, she wants to shine in every way possible—a beautiful dress, a glorious location, wonderful food, and dances around the ballroom floor. After walking her down the aisle, you have a few more moments to hold your precious little girl during the Father/Daughter dance. Make it perfect! 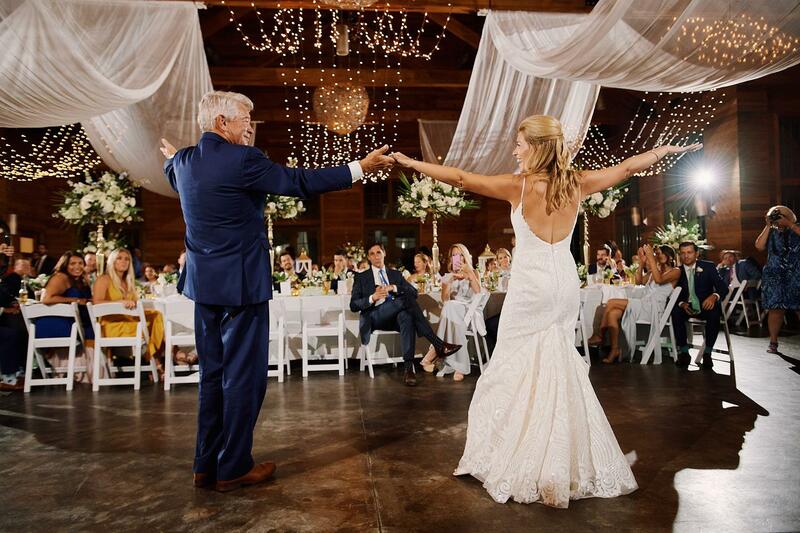 During the reception, the First Wedding Dance is followed by the Father/Daughter dance. 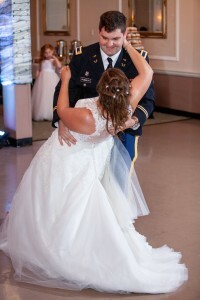 The perfect Father /Daughter dance begins with dance lessons 90 days before the big day. New dancers, especially those new to partner dance, need a healthy dose of repetition and practice. 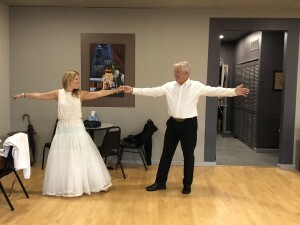 If you give yourself (and each other) the time and space to learn, your Father/Daughter dance will complement the Wedding First Dance with style and grace. 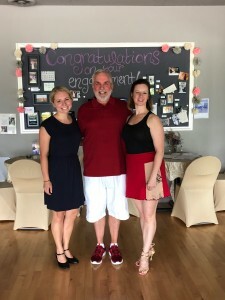 During your first visit to Prestige Ballroom Dancing, not only will you have a fun time, you will have many special moments with your daughter. Your instructor will also introduce you to the basics of wedding dance, listen to your ideas about the reception, and help you craft a Father/Daughter dance that works smoothly with the Wedding First Dance. 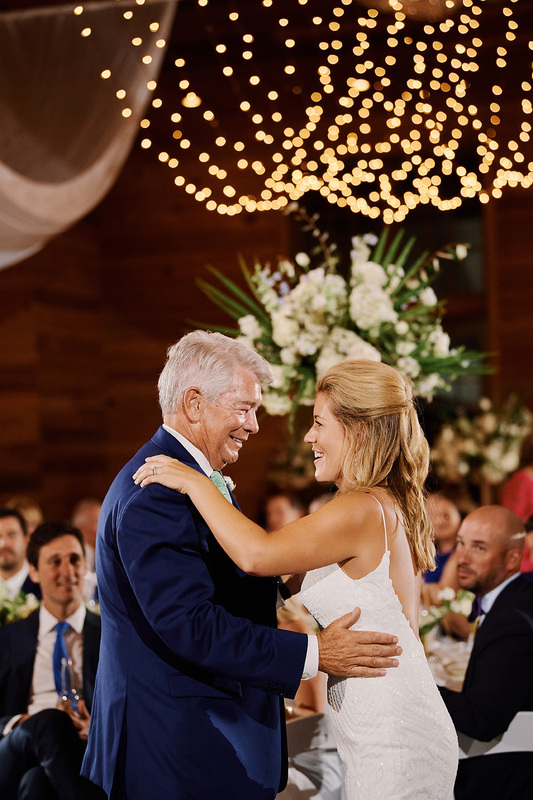 At the end of your wedding consultation introductory dance lesson, you will have a clear idea of what your Father/Daughter dance will look like, a plan to get there, and the confidence to help you look fabulous. The venue is booked. The dress is fitted. The flowers are picked. The catering menu is ordered. Everything seems to be going according to plan—until you realize you haven’t learned your PERFECT FIRST WEDDING DANCE—t he few glorious (or disastrous) moments that will last well beyond the day! The cake will be eaten, the dress will go into storage, the flowers will wilt, and the tuxes will return from whence they came, but the time you two will spend learning your perfect wedding dance— time that will begin with lessons together months before the wedding –will remain one of your most treasured memories, even after many years. 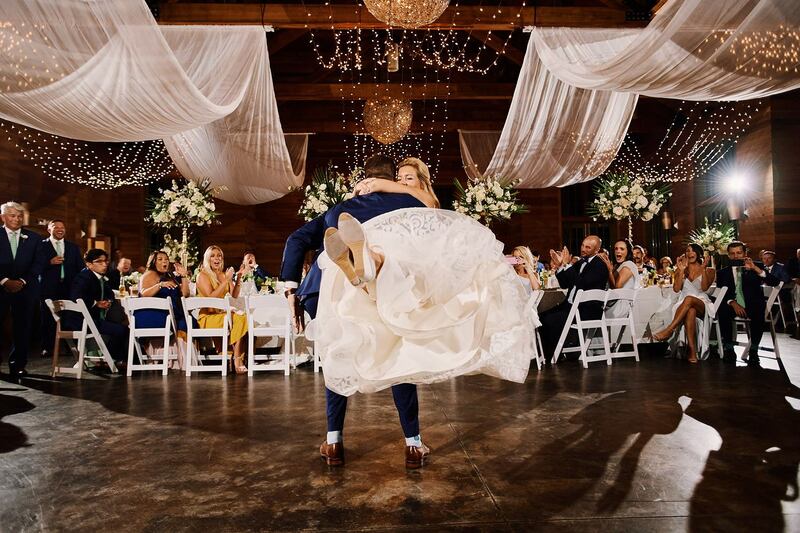 Your perfect first wedding dance is the joining of your two unique personalities to create one beautiful expression of your love and commitment. To experience your perfect first dance, you— as a couple –should seek lessons at least 90 days before the big date. 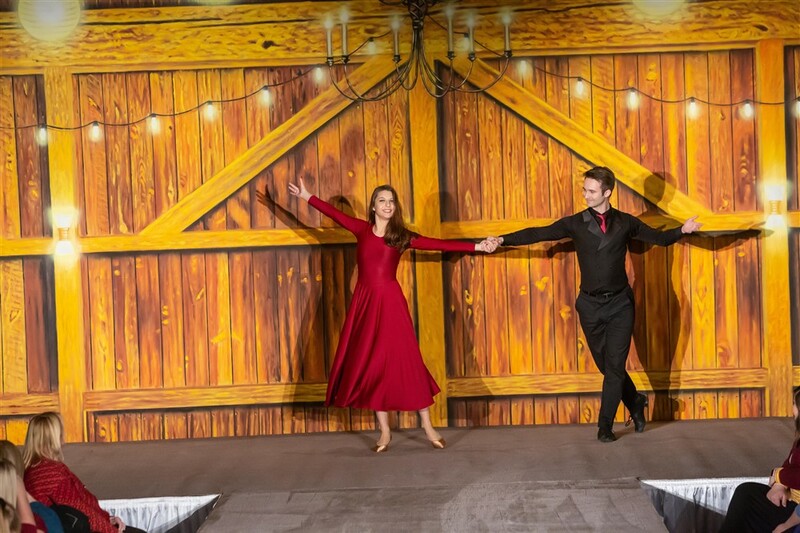 If you, like the hundreds of other couples who learned their Wedding Dance at Prestige, can open up your calendars during the time you are learning to dance, the impossible becomes possible! New dancers, especially those new to partner dance, need a healthy dose of repetition and practice. If you give yourself (and each other) the time and space to learn, your first dance will wow your guests and be a smashing success! 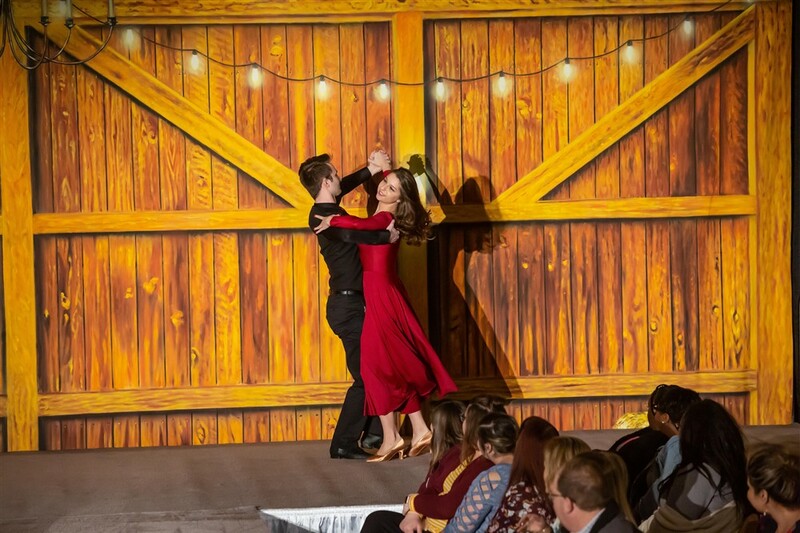 During your first visit to Prestige Ballroom Dancing, not only will you have a fun time (think—date night), your instructor will also introduce you to the basics of wedding dance, listen to your ideas about the reception, and help you craft your ideal wedding dance . 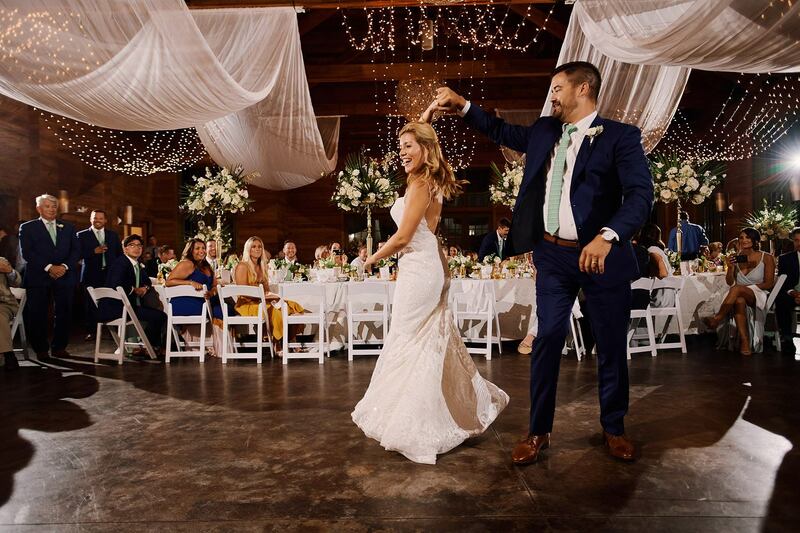 At the end of your wedding consultation and introductory dance lesson, you will have a clear idea of what your wedding dance will look like, a plan to get there, and the confidence that you will look fabulous together, in your first public presentation as Husband and Wife! 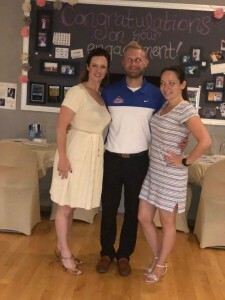 Thank you so much for all your help and support in teaching us our first dance for our wedding. 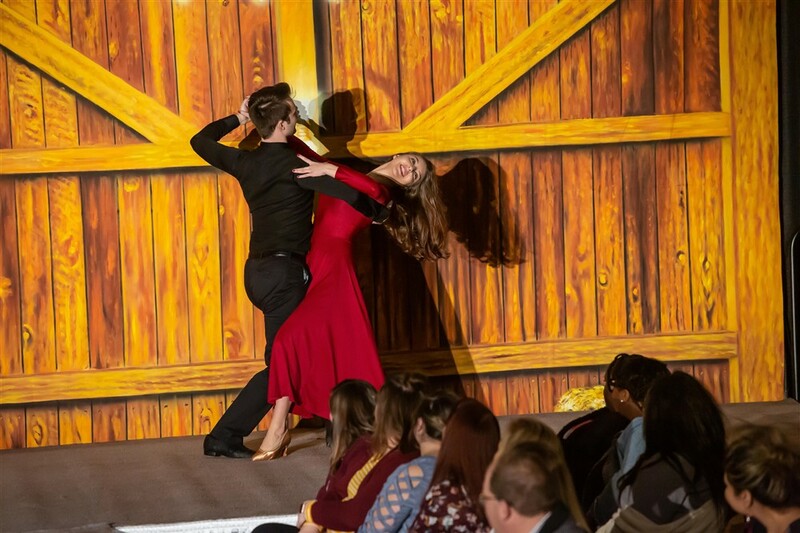 We felt so comfortable and confident in our routine that our dance was a breeze! We got so many compliments. We have you to thank for that! We had a blast at Prestige Ballroom and plan to come back soon! Don’t be that soon-to-be married dude or bridette who is stressed and lost when it comes to the event, your TEAM, or your DANCE. If you don’t know where to start with the planning for your wedding, or just want to check out what else may be available, Prestige Ballroom invites you to join us at Havana Nights hosted by Allegro Entertainment and New Covenant Weddings on March 3 from 4:30 to 7:30 pm! This Cuban-themed open house will have Latin music, fresh Mojitos, hand-rolled cigars, and fabulous decor. Of course, Prestige will provide the Salsa dancing! We would also like to give a shout out to Twisted Lilies, LLC, Russo’s Catering, and Divine Events who will be featured at the event along with many others. If you are getting married–we invite you to go ahead and get started on the fun and exciting dancing part of a wedding–as early as is practical. Touted as St. Louis’ premier studio for Wedding Dance (First Dance, Father-Daughter and Mother-Son), we work with hundreds of couples every season–turning them from beginners into a confident, smiling, relaxed couple who not only looks great, but has a tremendous time learning in every lesson. 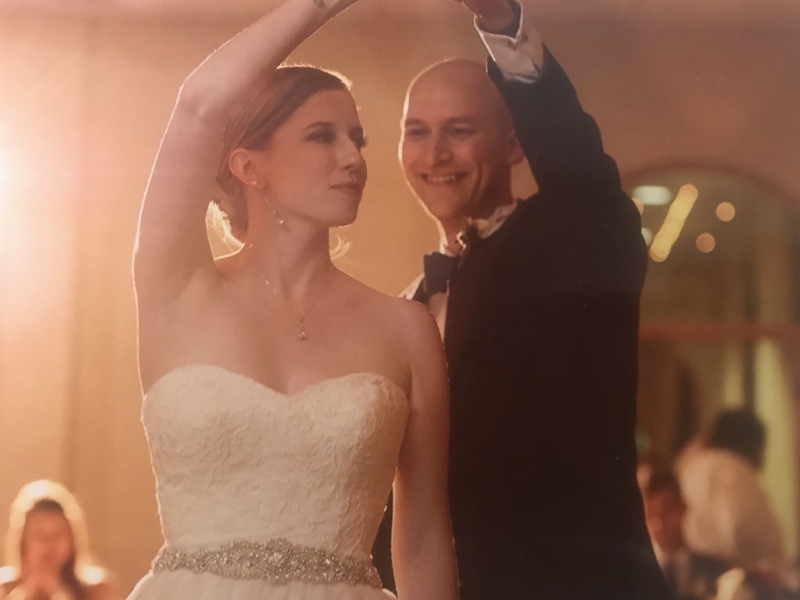 Get started on your dance journey today–give us a shout by phone, or book your lesson above–we’re here for you and can’t wait to help make your special day the absolute best! Your wedding is arguably one of the most important, or at least most memorable nights of your life. So, why would you do anything but go all out. People spend money on so many pointless things, when in reality it is much better spent on experiences. 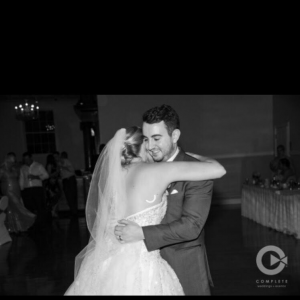 When it comes to your wedding dance, it has the potential to be one of the most amazing experiences of your life. The Practices will bring you closer together as a couple, while at the same time you are both learning a lifelong skill. Beyond that, it is simply fun. When you know you have put together something truly amazing, it is hard to not feel proud and enjoy it. Look at this couple who learned to tango for their wedding dance. There is no way that this couple will ever forget this night and this dance, and you could never put a price tag on that for them. 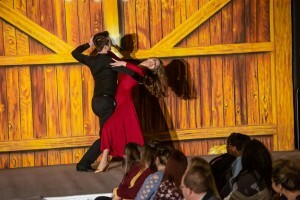 They worked hard on this dance for sure and without a doubt grew closer as a couple, but most importantly it was something that they got to share together and then share with all of their friends and family.